Across the Arctic Circle and on to the North Cape! 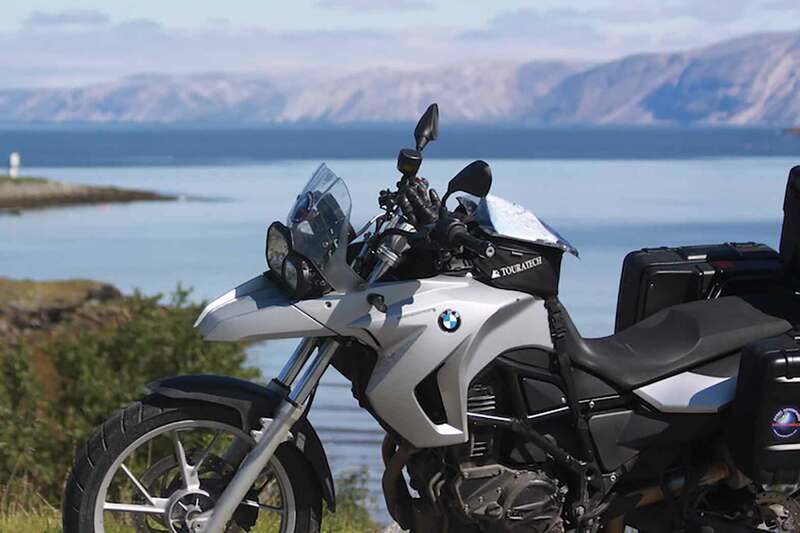 The Adventure is designed for riders who are looking for something very special: a tour beginning in Oslo – the economic and governmental center of Norway – to the end of the world – nearly 300 miles north of the Arctic Circle – further north than Prudhoe Bay, Alaska! 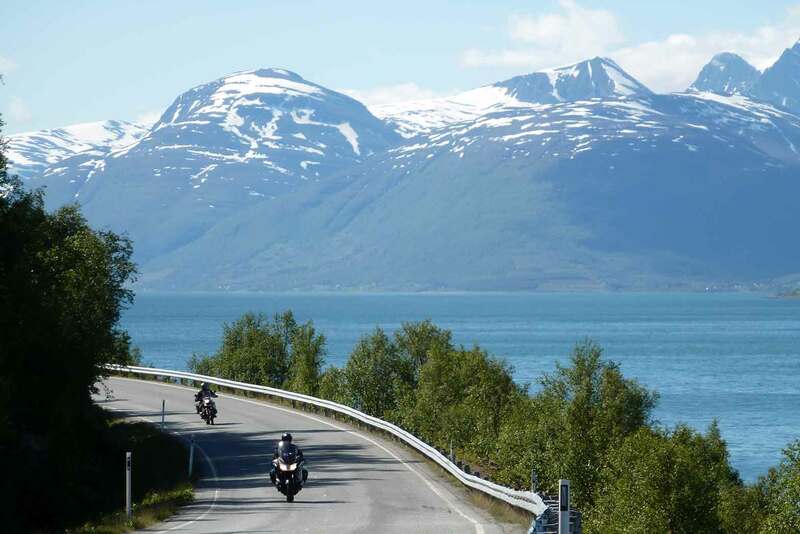 This Adventure will take you through the pristine beauty of Norway with stunning and bizarre landscapes on endless roads through uninhabited wilderness with 24 hours of daylight. 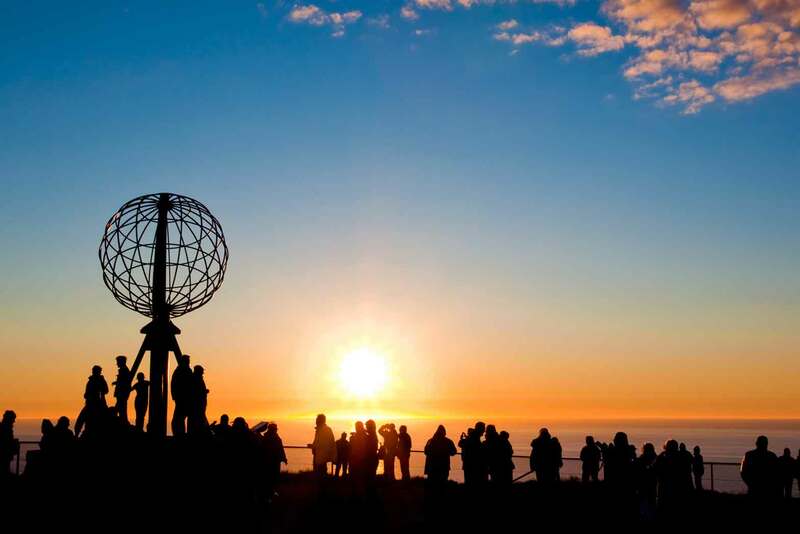 There is no other “North Cape” tour that will let you experience more of Norway. 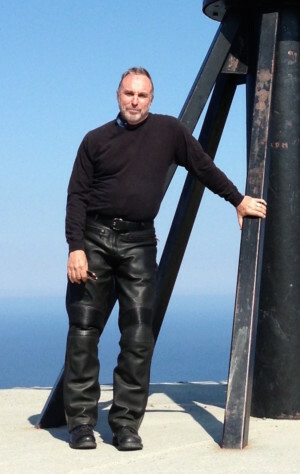 Join us in conquering the North Cape by motorcycle! 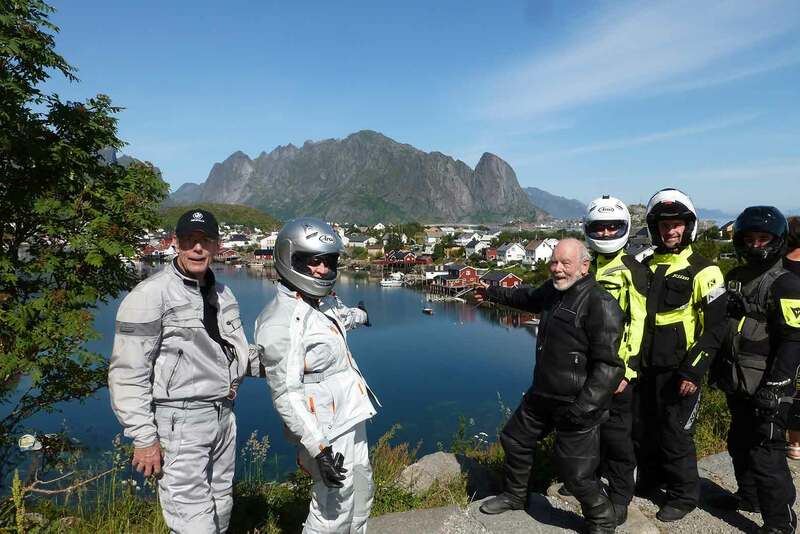 Ride along the Norwegian fjord–dotted coast line, cross the Lofoten Islands and the never ending plains of Lappland up to the border of Russia. Join us on a whale safari and watch the Midnight Sun! 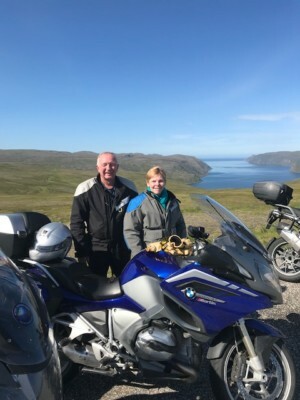 This tour is about challenging and experiencing mother nature with all its facets and riding the roads that lead you to where Europe ends – The North Cape. Riders will cover a distance of about 2,500 miles, entirely on good paved roads which are mostly easy to manage with little traffic. Some sections (~10 – 15%) are technically more challenging, but there are also long daily distances with straightaways. 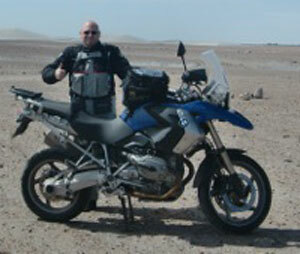 Wind and rougher climate can be an issue the further north we ride. Riders opting to arrive a day or so early to adjust to the time change can choose from a wide selection of world class attractions, including the Akershus Fortress, the Viking Ship Museum, and the Fram Museum – featuring the strongest wooden ship ever built , which still holds the records for sailing farthest north and farthest south. The ship was used by Amundsen when he visited the South Pole in 1911 and the North Pole in 1926. Airport transfer, motorcycle hand over, kickoff meeting and our first dinner together is today’s program! 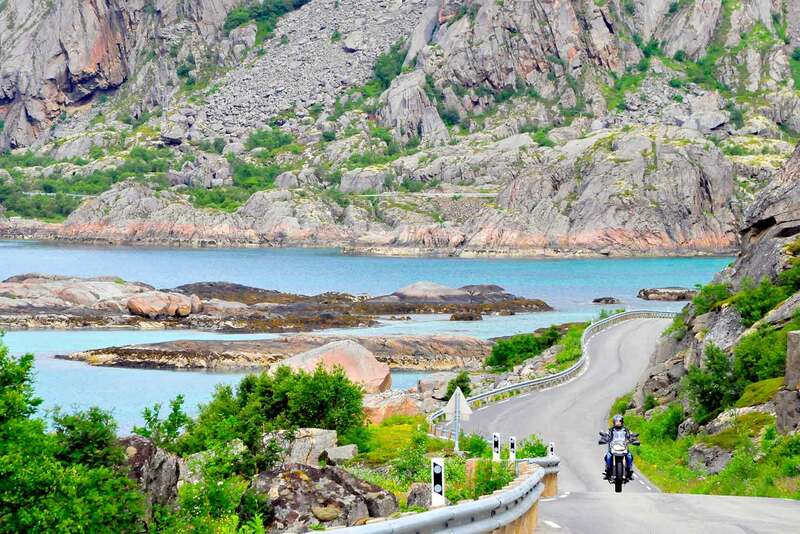 The first riding day is a trip through Norway’s past and fairy tale landscapes! The twisty road through the Numedal Valley leads us along numerous ancient farm buildings and typical centuries old stave churches. Today’s destination is in the middle of one of Norway’s most spectacular landscapes at the Naeroyfjord, a sidearm of the Sognefjord – the deepest and longest fjord of Norway. Highlights: ancient buildings and stave churches – spectacular scenery. Ride along glacier – covered Jostedalsbreen National Park – pure riding pleasure on twisty mountain roads and along fjords! A ferry ride on the “world’s most beautiful fjord” is a must and allows us to admire the stunning scenery. Today we end up in the small Art Nouveau – style city of Alesund. Highlights: Mountain scenery and roads, ferry ride on Geirangerfjord. 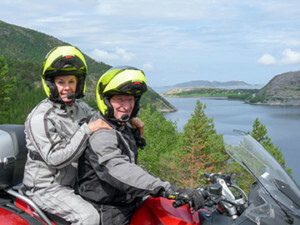 Today you may do some sightseeing of the city or go for a half day’s ride enjoying the roads around Alesund! 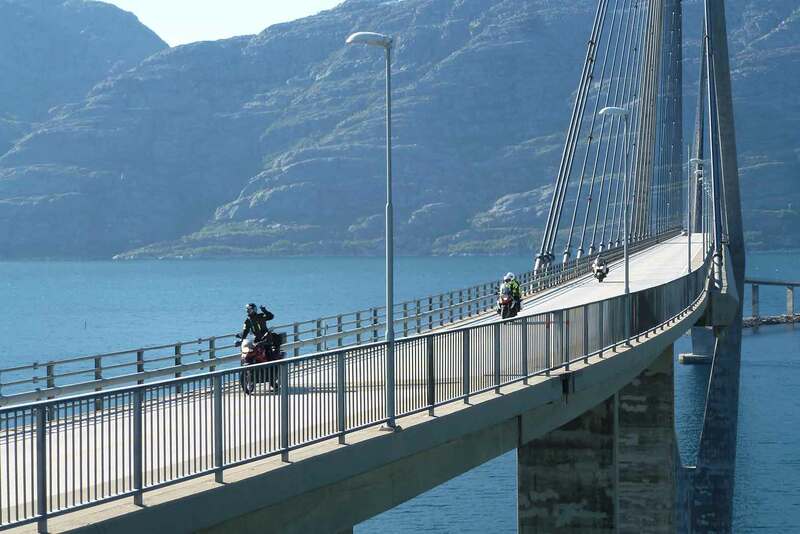 The famous “Atlantic Road” as well as twisties around spectacular fjords or mountainous back country are the choices. Highlights: Art Nouveau City of Alesund and Riding around Alesund. Today you’ll enjoy a scenic ride through central Norway, spiced up with a detour across Norway’s most famous pass road: Trollstigen! 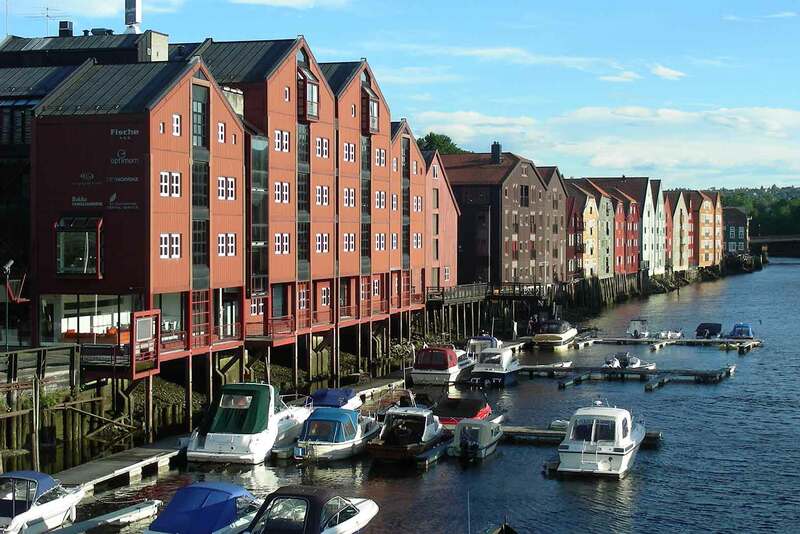 Our destination of Trondheim is a historical city, which is well worth a visit. Highlights: Trollstigen pass road, Trondheim (old city and warehouses, Nidaros Dome). Today we enjoy a relaxing ride along the Norwegian coast line and through rural back country – the first ferry is waiting for us just 20 minutes after the start! Highlights: lunch fish soup in the village of Vingsund, Norwegian coastline, an easy and relaxing ride. We continue our ride along the Norwegian coast. Several fjord crossings on ferries offer welcome breaks and leave time to watch and enjoy the scenery. 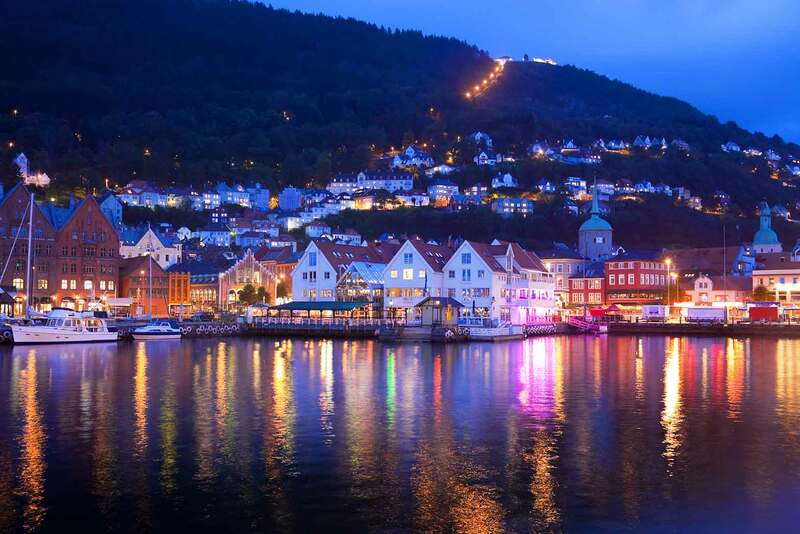 Highlights: 3 ferry crossings; scenic fjord views. Our first experience with northern Norway. 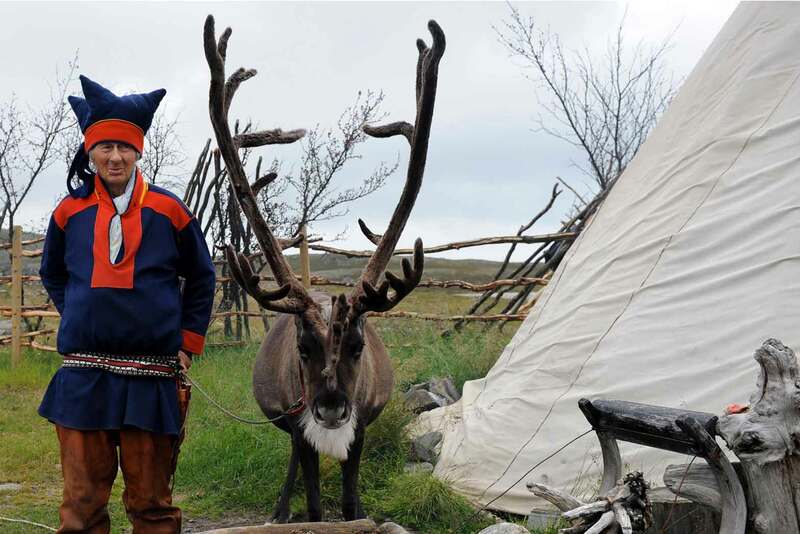 The scenic inland ride through glacier-carved mountains gives us an introduction to the Arctic. 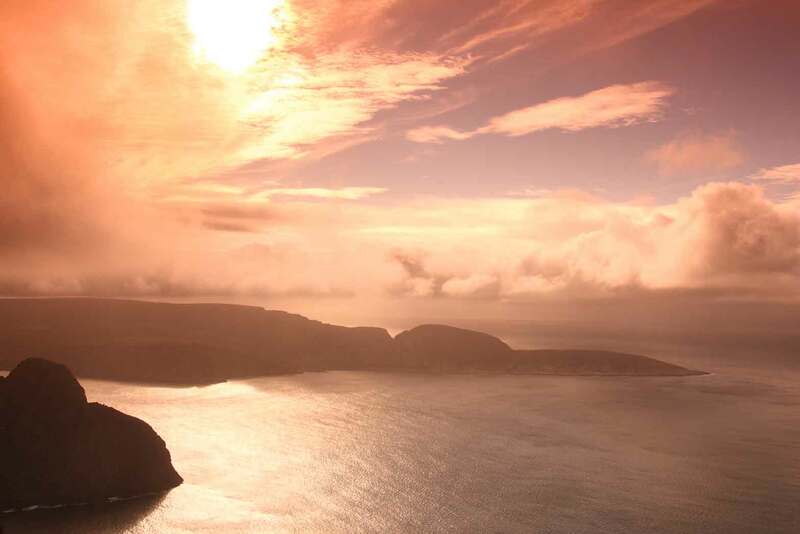 With the crossing of the Arctic Circle we enter the “Land of the Midnight Sun”. Approaching Bodø we witness the Straumen Maelstrom – one of the planets’ strongest sea currents! 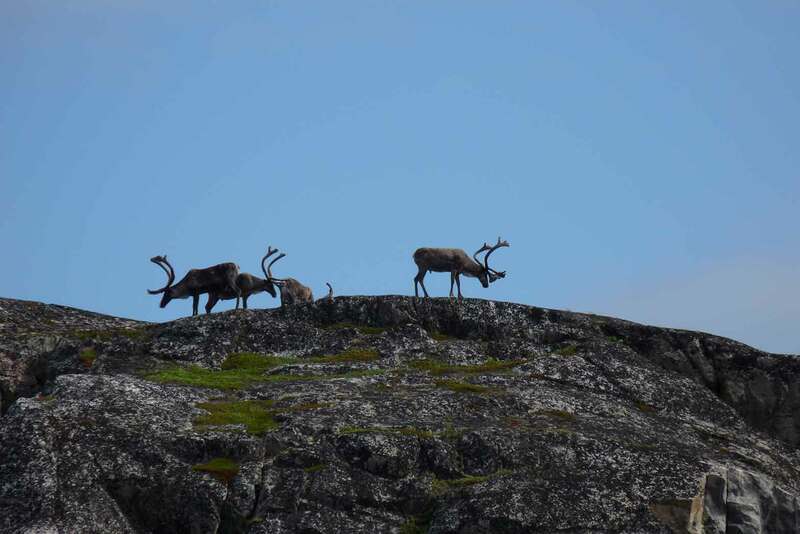 Highlights: Arctic Circle crossing; maelstrom sightseeing close to Bodø. 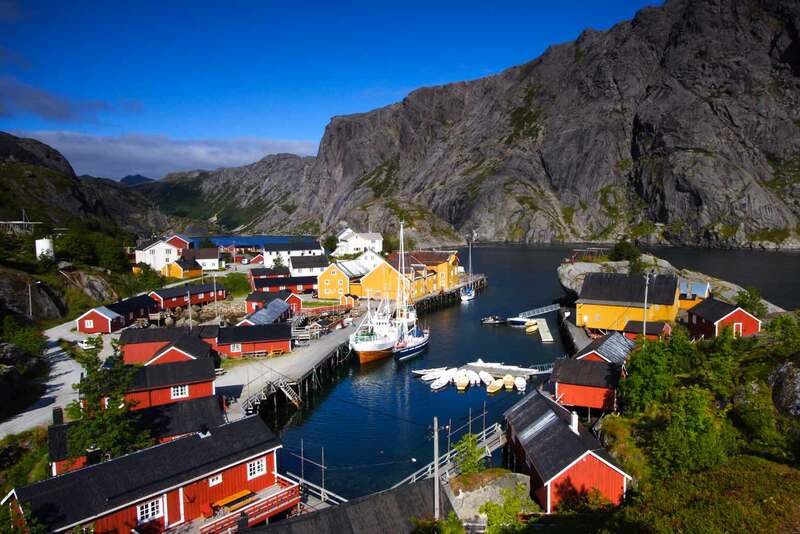 In the morning we take the ferry to the Lofoten islands; the afternoon is dedicated to the ride through spectacular scenery along colorful fishing villages, white beaches and crystal clear water. Highlights: Ferry to Lofoten islands; spectacular Lofoten scenery, where mountains meet the sea. 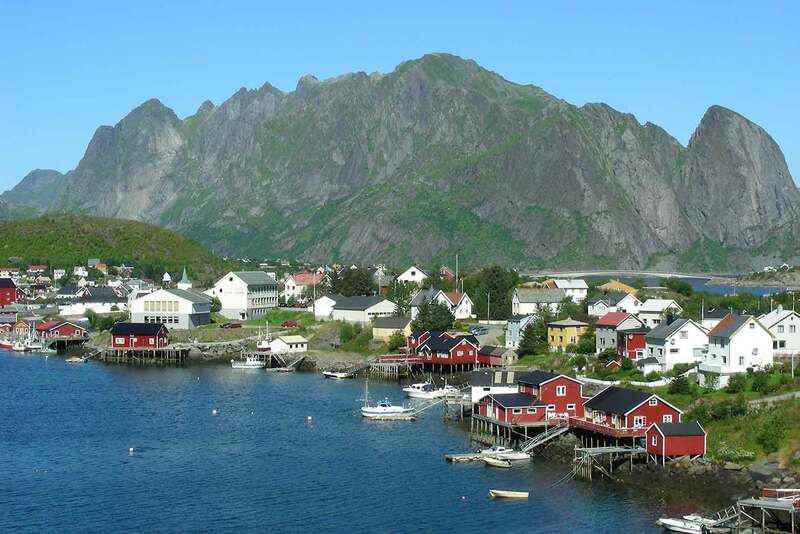 Visit the Viking Museum or the Lofoten Museum, go for a walk along the harbor in Svolvaer or for a sunset cruise – or take your bike for a loop along the seashore! It’s your decision on your free day in Svolvaer. 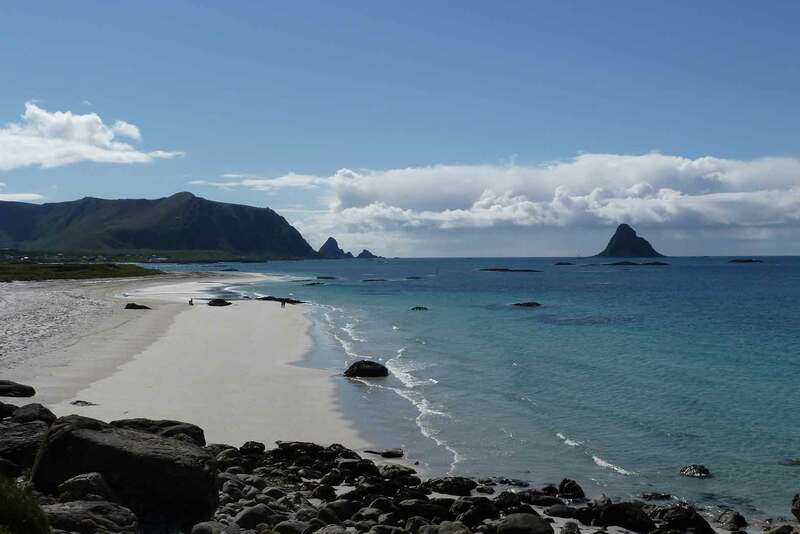 We leave the Lofoten and continue to the neighboring Vesteralen Islands; from Andenes at the northernmost tip you can optionally do Norway’s only whale safari in the afternoon. Highlight: Lofoten scenery / optional whale safari in the afternoon. We leave the Vesteralen Islands and continue north. Optional loops bring us close to waterfalls and into the Norwegian back country. Highlight: Vesteralen scenery. Ride through northernmost Finland to Kirkenes, only 6,2 miles away from Russian border. Kirkenes is also the turning point for cruise ships of the famous “Hurtigruten”. 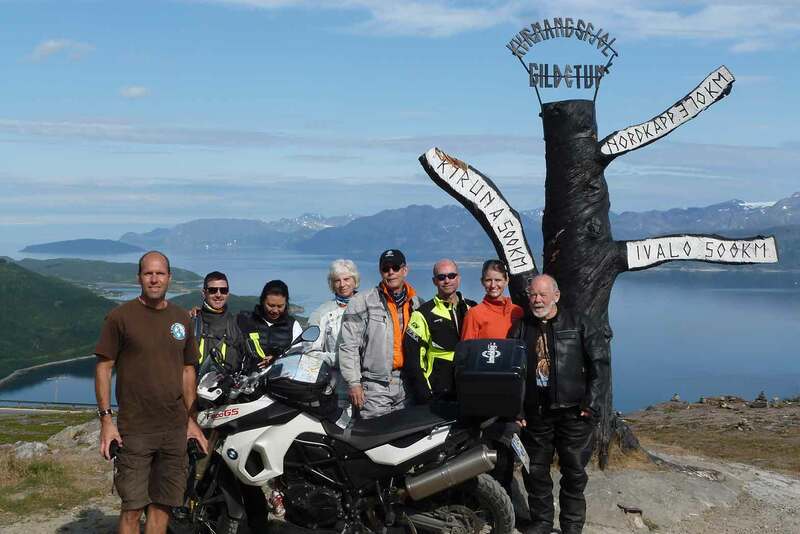 Highlights: optional ride to Jakobselv (easternmost point of Europe) and along Russian border. Today is the day! An early start ensures that we have enough time for “the” destination of our trip: a long ride brings us to northernmost point of Europe! Almost certainly we will have to fight against wind and harsh weather, but this once-in-a-lifetime experience is worth it! 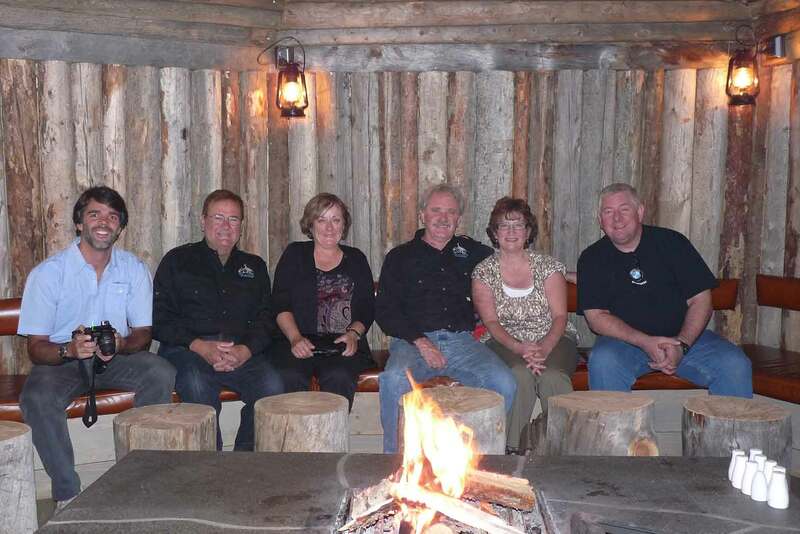 Highlight: visit of North Cape and North Cape Museum, Alta back country. 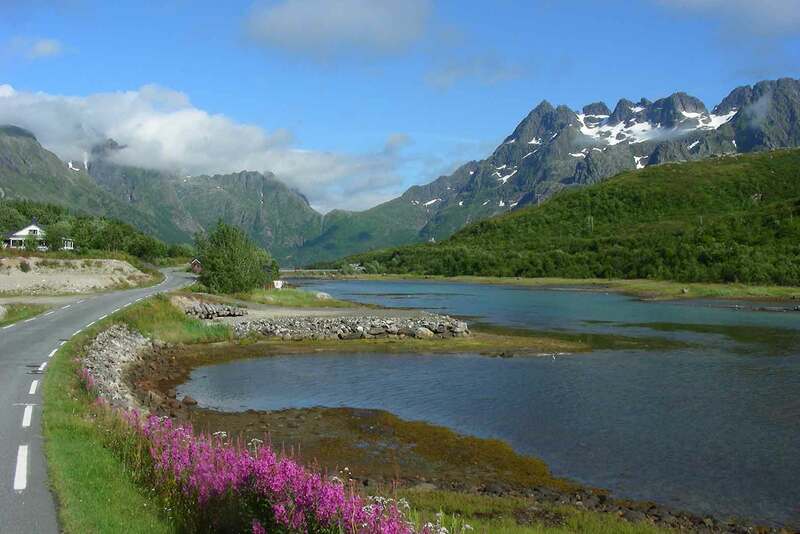 We enjoy the scenic and twisty ride south on the main roads along 7 different fjords and getting spectacular views of the “Lyngen Alps”. Tromsoe, the “Paris of the North” is waiting for us with interesting sightseeing and the northernmost brewery of the world! Personal motorcycle: deduct $1,400 from the rider price. Don't leave home on two wheels without Ayres Adventures! Don't leave home on two wheels without Ayres Adventures! First in class, first in safety and adventure! This was our first Ayres Adventure, and the Norwegian Midnight Sun tour was really a trip of a life time. The scenery is spectacular, and the routes chosen really show the country at its best. Claus & Axel are terrific at explaining where we were riding, what we'd see, and making sure we had a great time. The pace was just right, with nice breaks for lunch & coffee, and the hotels and dinners were uniformly excellent. We met wonderful people, and started thinking about our next Ayres Adventure, long before this one ended. Thank you again for another wonderful tour! Thank you again for another wonderful tour! 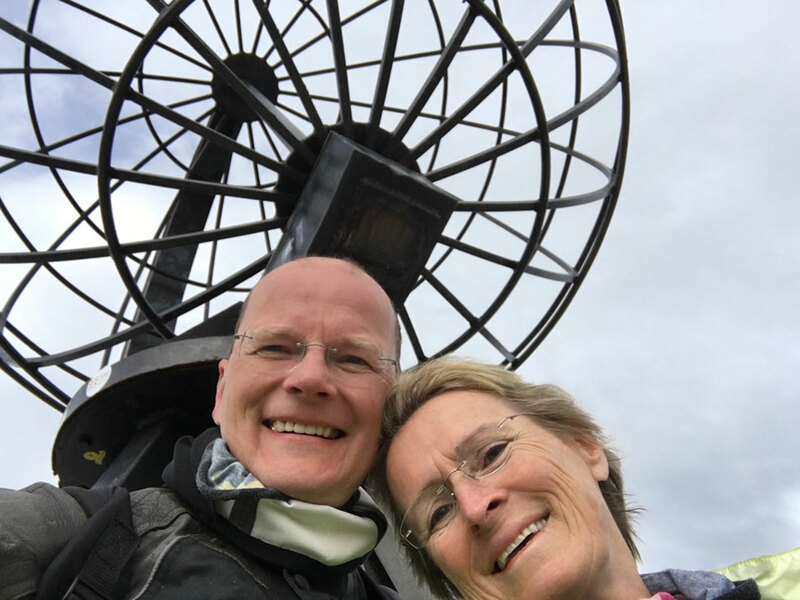 We always wanted to go to the North Cape, with all the planning you did for us, you made this trip a great experience. You found nice twisties with spectacular views, stunning landscapes and outrageous bridges from one island to another, which made our hearts beat faster. Our tour leaders had a lot of inside information on special routes, which were not crowded at all. GREAT RIDING!